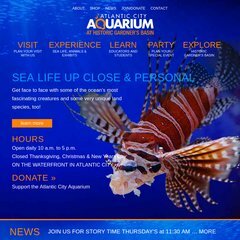 Topics: Supporters, For Educators, Make A Donation, Aquarium, and Marinas &boat Rides. 28 users visit the site each day, each viewing 2.30 pages. The programming language environment is ASP.NET. Its 3 nameservers are ns3.jsecomputers.com, ns2.jsecomputers.com, and ns1.jsecomputers.com. It is hosted by Netcarrier Inc (Pennsylvania, Lansdale,) using Microsoft-IIS/6 web server. PING (216.178.84.53) 56(84) bytes of data.